My girls and I were in the car a lot on Sunday. When we pulled up to our final destination, they all said they were car sick. Nobody moved, my youngest looked like she was about to cry. They laid flat on their backs and I told them to spread their arms and legs wide. I told them to close their eyes, let go of whatever didn’t feel good, and allow the earth to take it. I told them the earth always supports them, it’s always there holding them up, it’s always willing to absorb, cleanse, and then reoffer what we need to survive. I told them to breathe deeply, feel the sun on their face, notice the wind, and relax into the ground. I said, “Don’t thank me, thank Earth.” They laughed, but then yelled thanks Earth! as they ran to my sister’s door. I stayed an extra minute and realized we don’t teach kids how to love the earth with words, we remind them how to naturally reconnect, how to remember what it provides, how to be in awe of its power. Oneness and connectedness cannot be learned through a book, it needs to be felt in the body. We need to feel how it all fits, how everything has a natural perfect order, how if we fail to care for what sustains us, we will no longer be sustained. Then I opened my eyes and looked at the tree above me, a tree that offers me and the rest of us clean air. I felt the earth beneath me, holding me up, and I saw a group of birds flying in unison, cooperating with each other because they know their survival depends on this cooperation. 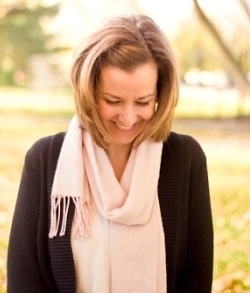 I was reminded to notice and feel, so I could teach my children to notice and feel. Then someone drove by and honked at the lady laying on the ground. I laughed, and realized it was my cue to get up. But just like my girls, I got up and returned to the day better. 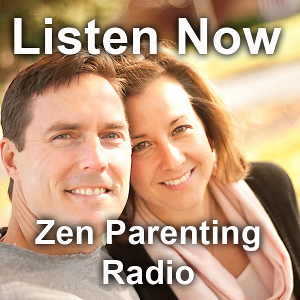 Type your email to subscribe to my blog, click here to "like" The Self-Aware Parent, and click here to check out Zen Parenting Radio.